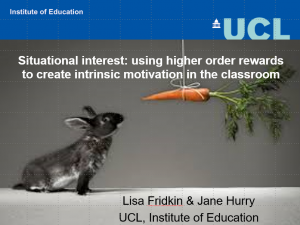 Situational interest (SI) is described as the first stage of interest development (see Hidi & Renninger, 2006; 2011) and is potentially of high value to practitioners because it is an intrinsic motivator that can be externally manipulated. It is theorised to raise attention, effort and enjoyment in a task or activity and act as a forerunner to personal interest. A series of three experimental studies were conducted to investigate the effects of three potential triggers of SI on reading comprehension performance and reported task enjoyment with children aged 8-9 years old. Interaction effects for gender and reading ability were also investigated. Approx. 100 children participated in each study which used a repeated measures, cross-over design, and the same central materials (two short stories, comprehension questions, enjoyment questionnaire). Study 1 investigated choice, offering children a perceived but meaningful choice in storybook (control condition: allocated story); Study 2 investigated novelty where a story prologue was read aloud by a visitor (control condition: task administered by class teacher, without the prologue read aloud; Study 3 also investigated novelty, through non-textual features – scratch and sniff stickers interspersed in the text, (control condition: no stickers). All three studies found significant effects on reading comprehension performance (medium to large effect sizes) and on reported task enjoyment (small effect sizes), suggesting that for this age group, these triggers are effective in changing the way the children interact with a reading comprehension task. Effects by gender were found for Study 3 only, where girls achieved higher scores on the reading comprehension task compared to boys. No effects were found by reading ability. 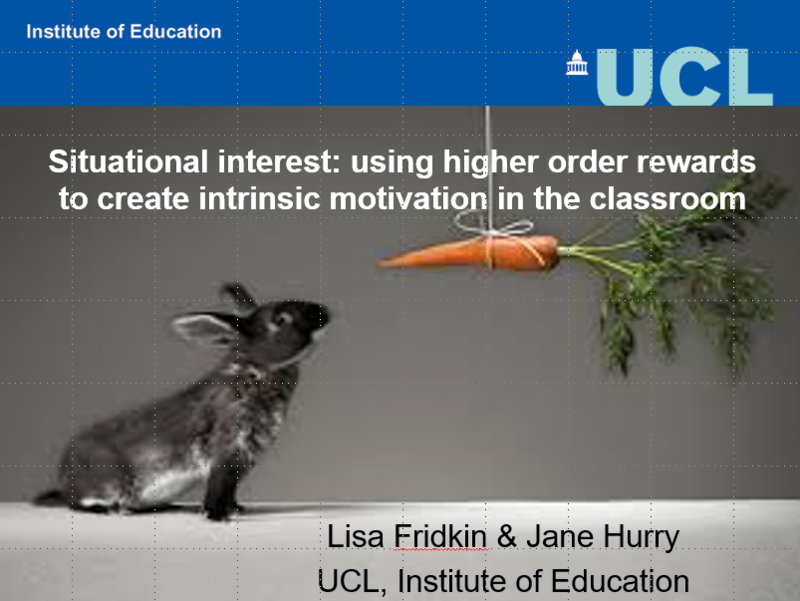 These results suggest that quite slight manipulations of a task can have a relatively large and immediate impact on comprehension task performance and enjoyment and suggest that SI may signal an effective way to introduce intrinsic motivation in the classroom. There is emerging evidence linking motivation to reward circuitry, indicating that our understanding of these processes could be supported with further research.